A browser than can manage music on the HDD. Tracks are classified in My music\[artist]\[album]. The soft can generate all the playlists (a playlist in each directory that contains one or more music file [*.mp3;*.wma]). 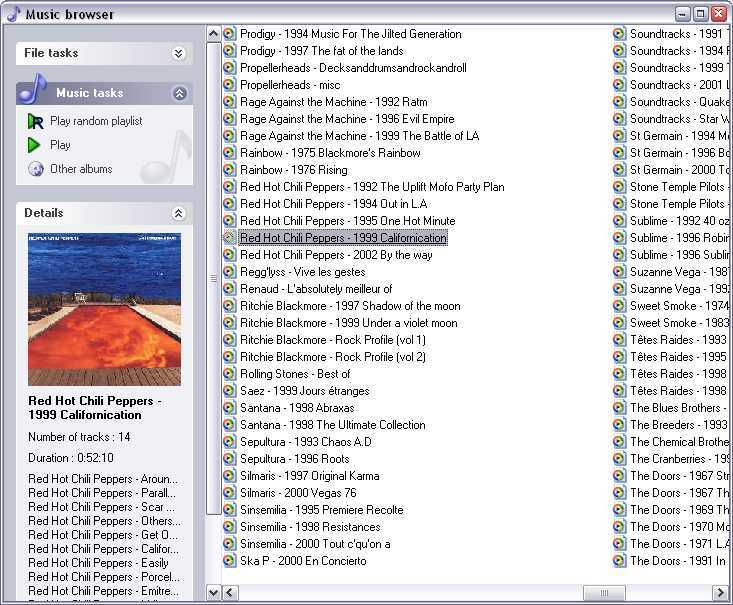 And then, it displays the list of the playlists (with the cd cover, if exists in the folder). Explorer bar no yes M.C. You can choose the langage (fr, us, and more if you modify the .INI file). New winXP explorer bar style. Support Alpha blending & skins. 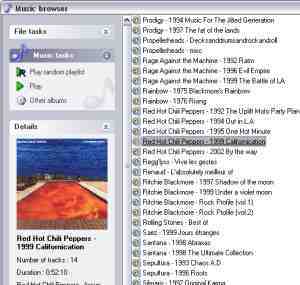 Make the 'enqueue' fonction work with windows media player. If someone know how to use the Queue-it-up function programatically, please tell me.